If there was a machine that could provide you with a vision of how you and another person would end up 15 years into the future, would you use it? What if your significant other insists on you doing it? Or you are single, and addicted to looking up your exes and seeing how things could have been? This book explores just that. Our two main characters, one in the process of getting married, the other freshly single, are brought together through technology that throws the very idea of fate and romance out the window. I enjoyed the humor, character building, and bizarre unfolding of the story. For the reader, things tend to be a bit predictable on the onset; yet the author makes up for this by lobbing parts of the story that compels us to read on, like pretty hilarious technical malfunctions. 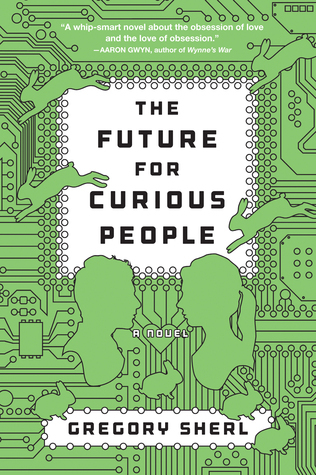 As a guy, The Future for Curious People is more than tolerable for someone that usually detests romance novels. Guy or girl, single or happily married, this is a fun quick read that will probably become a movie at some point, starring a CGI 20-something Tom Hanks and Meg Ryan. Click on the book below to purchase it today!